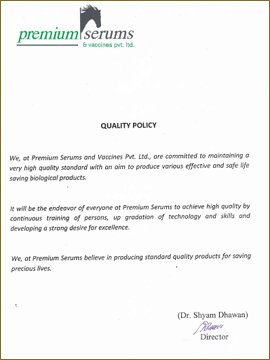 Premium Serums and Vaccines Private Limited (PSVPL) was co-founded by Dr.S.B.Dhawan, Dr.G.N.Kolwankar and Dr.M.V.Khadilkar. 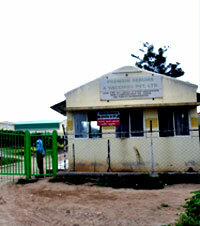 The animal farm and plasma fractionation facility of PSVPL is exclusively used for the production of therapeutic Equine Immunoglobulin products. 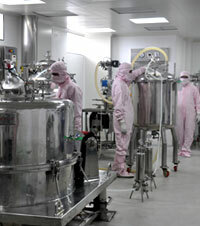 The production facility is one of the most modern in the country and the equipments, practices and procedures meet the latest WHO-GMP specifications. 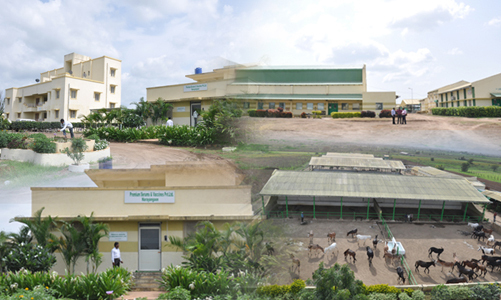 The equine farm and plasma fractionation facility is WHO-GMP certified, thus ensuring good quality of plasma and bulk which form the basic raw material / API for all products. PSVPL possess all the required set up to manufacture quality products with its own team of highly experienced, technically qualified and competent professionals. 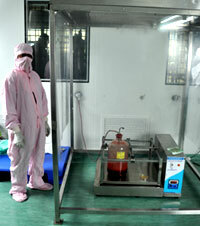 PSVPL is supplier of hyperimmune plasma and bulk (API) to reputed Indian and overseas manufacturers. 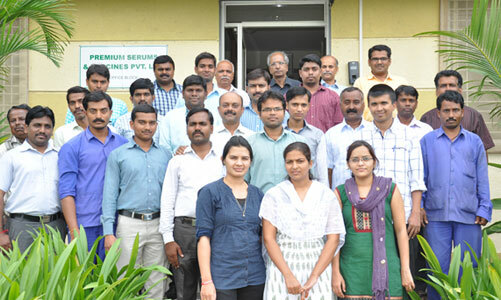 PSVPL has recently started manufacturing finished products at a state of the art WHO-GMP approved manufacturing facility near Hyderabad.